You can also download the Direct Selling Agent Agreement format in the following formats. Direct Selling Agent (DSA) are persons or body corporate engaged by financial institutions or a business to act as sales agents on its behalf. A Direct Selling Agent is different from an in-house sales persons in that the DSA would not be on the rolls of the company, would have a fixed period of contract and would have a performance based compensation. On the other hand, a sales person would be employed by the business, have a fixed monthly pay and can be terminated only as per the terms of employment and labour laws in India. The direct selling agent agreement format provided in this page can be used by any business wishing to appoint a direct selling agent on it behalf. 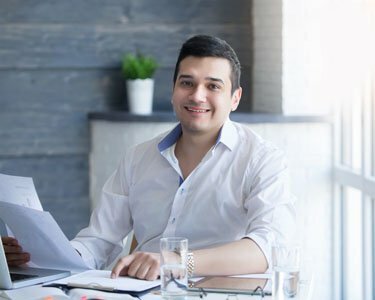 This format is frequently used by many of the leading banks in this country, who outsource this sales operation either to individuals or to other institutions specialized in this task. 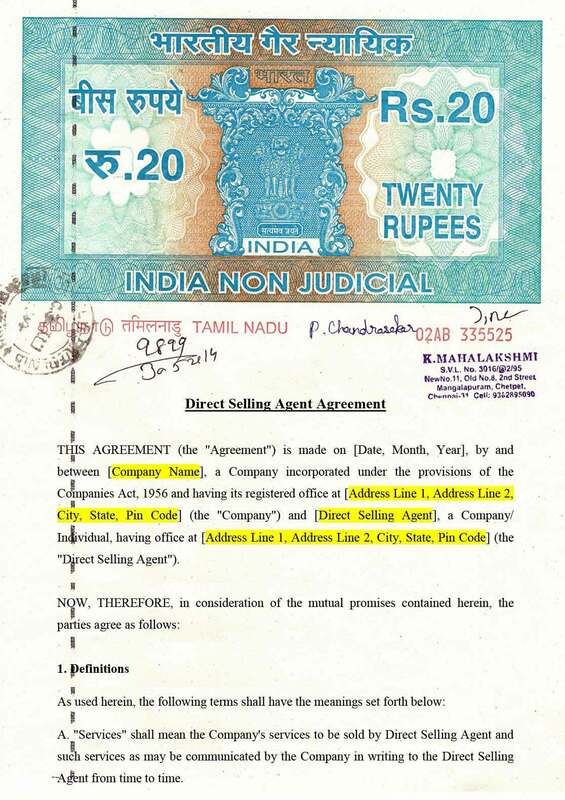 The direct selling agent agreement must be printed on a Non-Judicial Stamp Paper with a value of Rs.20/- or more. 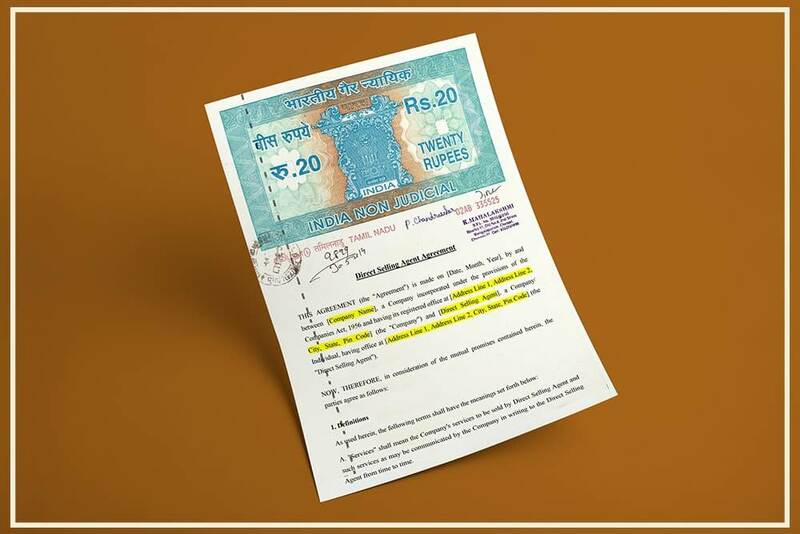 The DSA Agreement is made in two copies and the agent and the company each retain one original copy of the agreement for their records. One of the most important aspect in any direct selling agent agreement is the use of right to use trademark of the business whom the agent represents and limitations on the use of the trademark. Further, details of commission or compensation to be provided to the direct sales agent on completing a sales must be provided in the direct selling agent agreement clearly.